September 19, 2016, 8:51 am. Dreaming of becoming part of the startup scene? If spending your days with hard-working and extremely driven people trying to change the world appeals to you, then all you need to do is find the right fit. Our member Detectify is currently looking for a Sales Representative. Perhaps that is the team and product for you? More open positions with SUP46’s members can be found on our Job Board. What is Detectify all about? Detectify is a web security startup founded by a group of top ranked whitehat hackers. The company was born from the simple idea that the internet was broken. The service continuously monitors your website’s security status and reports back with issues. The idea is to help developers deploy safer code and make companies work preventive with security. In short; Detectify monitors your security so that you can focus on web development and building awesome products. What is it like working at Detectify? Detectify was founded by some of the world’s best security researchers and we aim to bring in people with the same set of passion and competence, whether they work in marketing, sales or tech. Our employees are from all over the world – and we all share a passion for making the internet a safer place, creating out of the ordinary customer experiences and wanting to learn new things. What sort of person are you hoping to see in this position? Sales representative – We need to extend our sales team with an individual who loves establishing relations with new customers. Someone who isn’t afraid to make calls, schedule meetings and helping customer get started in the right way. Detectify is a global company and our customers are spread all over the world, so good knowledge in English is a must. We believe that you have a few years of experience as a sales representative, preferably for another SaaS startup. Or perhaps you just have the right skill set to let Detectify be your first job. What are you hoping to accomplish with the help of this new person? We’re looking for someone who will add even more successful companies to the list of already existing customers such as Trello, King, Trustpilot, Le Monde and many, many, more. 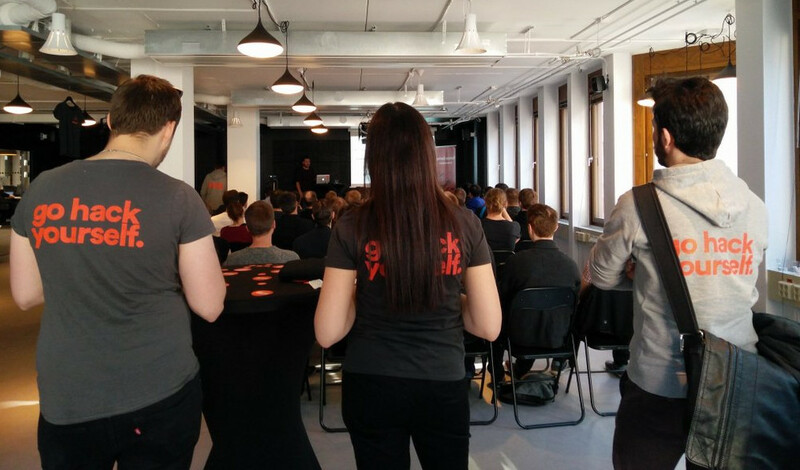 You were also recently part of our joint Demo Day with 500 Nordics, pitching to 100 international investors – what was that experience like? Great event with many interesting people in the room, both the pitching companies and the investors. Thank you for the opportunity to participate! We are always looking for people to join our team. Do you think you have what it takes and would like to be one of us? Check out our career page! Think this job could be for you or someone you know? Read more about the position and apply here.